DALLAS, April 21, 2016 – The American Heart Association and Aramark are launching a new community engagement program in three key cities -- Philadelphia, Chicago and Houston -- as part of their Healthy for Life® 20 By 20 initiative to improve the diet and health of millions of Americans by 20 percent by the year 2020. The pilot program, taking place throughout the spring, will track and measure the impact of attitudes and behaviors of primarily single mothers or single heads of households responsible for food and meal decisions for their families. “Less than two percent of all Americans meet the AHA’s definition of ideal cardiovascular health due primarily to poor diet. By bringing this high impact program to underserved communities and educating people to make healthier food and lifestyle choices, we hope to watch alarming statistics like this one eventually fade away,” said Penny Kris-Etherton, Ph.D., R.D., Professor of Nutrition at Penn State, an American Heart Association volunteer, and a world-renowned cardiovascular nutrition expert. The program is designed to help people make better food and lifestyle choices through culturally relevant and family-centric cooking, as well as curriculum based nutrition education focused on teaching easy ways to make healthy and affordable meals. The teaching methods include lesson plans, hands-on activities, take home resources and questions, group discussions and progress reports centered on successes and struggles. Participants will learn how to budget, shop and prepare healthy meals, and increase their level of comfort and knowledge of healthy ingredients, cooking skills and recipes. Five long-time Aramark Building Community partners will play a vital role in the implementation and overall success of this 12-week pilot: Congreso de Latinos Unidos, Inc., Episcopal Community Services, and Federation of Neighborhood Centers in Philadelphia; Casa Central in Chicago; and Neighborhood Centers in Houston. Following the pilot period, successful solutions will be replicated for broader impact across the country in partnership with the Alliance for Strong Families and Communities, a network of more than 500 community-based social service organizations. 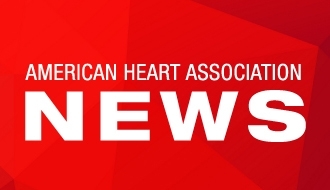 The Healthy for Life 20 By 20 initiative, which was launched last August, builds on existing work by both organizations and underscores the American Heart Association’s focus on its healthy living and prevention goals for 2020. In addition to activating community engagement programs, the initiative continues to grow and expand through healthy menu commitments across Aramark’s businesses, consumer health awareness and education initiatives, as well as thought leadership and research. For more information, visit: www.aramark.com/healthyforlife. The American Heart Association is devoted to saving people from heart disease and stroke — the two leading causes of death in the world. We team with millions of volunteers to fund innovative research, fight for stronger public health policies, and provide lifesaving tools and information to prevent and treat these diseases. The Dallas-based association is the nation’s oldest and largest voluntary organization dedicated to fighting heart disease and stroke. To learn more or to get involved, call 1-800-AHA-USA1, visit www.heart.org or any of our offices around the country. Follow us on Facebook and Twitter.